It doesn’t get much better than an ice cream on the beach, even better when the sun is out and the view is stunning. Moomaid, based in Zennor is a creamy treat on a hot day and there is a shop in St Ives. 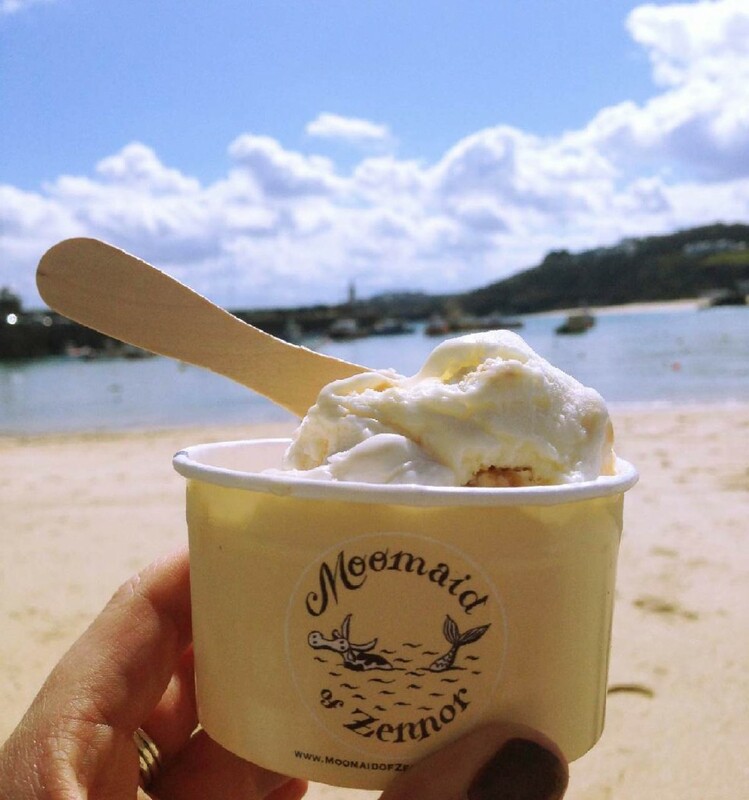 The creamy, delicious ice cream is made at a Cornish farm near Zennor, as well as making traditional flavours, they pride themselves on trying out new flavours and asking customers to provide ideas, if what they would like to eat isn’t on the menu. The vast amount of imaginative flavours make it hard to choose one, you can then either have it in a cone or tub. These flavours include, pistachio, cappuccino, white chocolate, lemon curd and a selection of sorbets and specials. Please be careful and not ‘Gull-able’ as the sea gulls in St Ives can have a tendency to dive for your ice cream!